Happy August 1st! 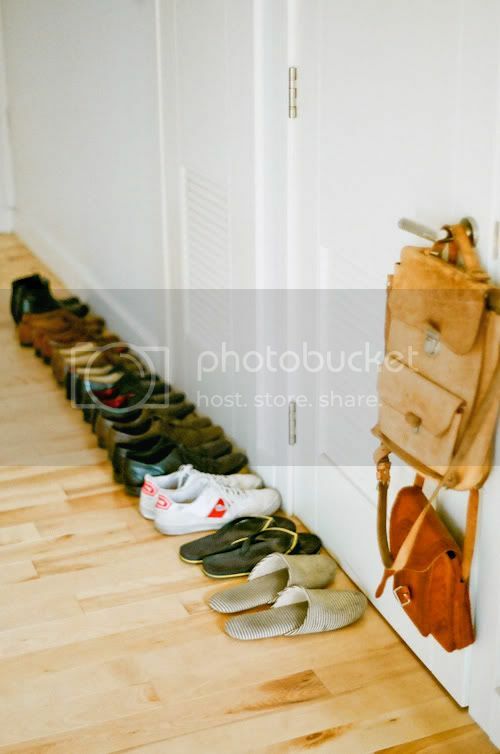 Today, I'm revealing my entryway. 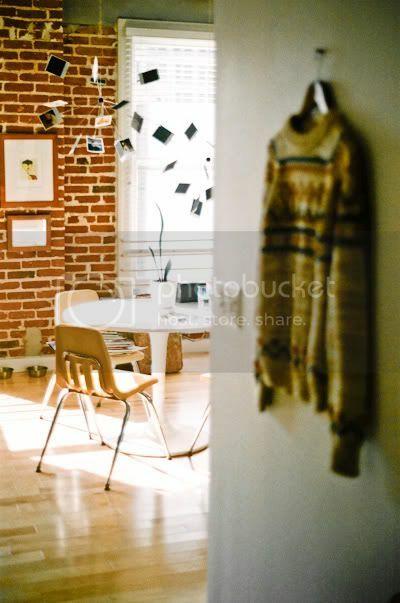 The knit sweater hanging on the wall was found in a Santa Cruz thrift store about 7 years ago. I have fond memories of it keeping me warm throughout the winter. Nowadays, it's been upgraded to wall art status.